Alliance is one of the largest and most successful nonprofit charter school networks in the nation, operating 25 high-performing, public charter schools that educate 13,000 scholars from Los Angeles. Ninety-eight percent of Alliance scholars are Latino or African American; 94 percent take part in the free and reduced lunch program; and 85 percent are first-generation college students. To ensure Alliance scholars attend and graduate college, Alliance has implemented college-success initiatives, including taking part in the U.S. Department of Education GEAR UP program, as well curating a list of the 150 US colleges that have a 75 percent or more graduation rate for students with a similar profile as Alliance scholars. Alliance schools have been recognized as among the best in the nation by US News & World Report, Newsweek, the U.S. Department of Education, and the California Department of Education. Since opening its first school in 2004, 95 percent of Alliance scholars have graduated from high school and been accepted to college. The moment Alliance scholars walk through our doors, they are charting a course to college graduation. In fact, we expect 75 percent or more of our scholars to earn a four-year college degree. In order to achieve that goal, Alliance researched where our seniors were applying, where they ultimately matriculated, and finally if they completed college. We uncovered that college matching is critical to success. Our research brought to light that 25 percent of our scholars undermatched, a phenomenon in which high-achieving students do not apply to, or when accepted, do not attend a competitive four-year college. We also discovered that our scholars’ match the graduation rate for underserved minorities of the college they attend. In other words, our scholar’s will mirror a college’s minority student graduation rate. Armed with this information, Alliance sought solutions to help identify the best schools for supporting our scholars, and we have put programs in place to encourage, inform, and match our scholars to the most selective colleges for which they’re eligible–– it’s at these well-matched schools that they’re most likely to succeed. Let’s dive into two main components of Alliance’s college matching initiative and the results to date. 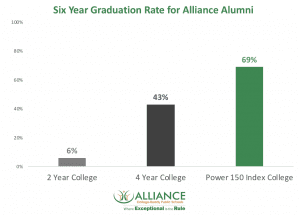 The Power 150TM Index is Alliance’s ranking of colleges with the highest graduation rates for students with a similar demographic profile as those served at Alliance. 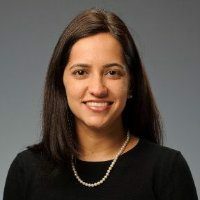 Using data from the 2014 National Center for Education Statistics (NCES), Alliance analyzed and ranked 4,200 colleges and universities nationally with a graduation rate of 75 percent or higher for underrepresented minorities. We then ranked the remaining colleges and universities in three additional tiers based on their college completion rates for students with similar demographics as Alliance scholars. The six year graduation rate of scholars attending a Power 150TM Index school is significantly better than for scholars who attended a two year college or a four-year college that is not on the Power 150TM Index. In order for students to attend the schools with the best graduation rates, they must first apply to and be accepted by those schools. Alliance created an algorithm that produces a personalized matching list of Power 150TM Index and/or Tier B colleges for each eligible scholar based on factors such as a college’s graduation rates, diversity, availability of financial aid, acceptance rates for Alliance scholars, and the scholar’s GPA and ACT/SAT scores. Today, Alliance counselors use the Power 150TM Index and college matching algorithm to create a personalized recommended top 10 list of universities for every scholar. By simply improving college matching at Alliance high schools, we can increase college completion rates by 34% without changing the academic profile of the scholar. 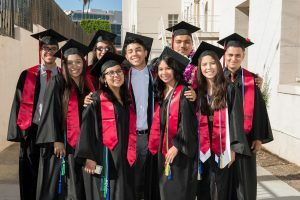 At one school, Alliance Cindy & Bill Simon Technology High School in Watts, the expected college graduation rate has doubled in three years. It’s not enough to get our scholars into college. At Alliance, we’ve implemented strategies to ensure that each of our 13,000 scholars apply to, and when accepted, attend a college that matches their academic abilities, setting them on the path to college success. Data refers to the 2008 to 2011 Alliance graduating classes.